Movie Nights are every second Wednesday of the month, and March?? ?s feature is the ? ?big-budget remake of the 1969 British caper classic ?? ?The Italian Job?? ?, starring Mark Wahlberg and Donald Sutherland. Free for members, $8pp, includes popcorn & drinks. Space limited, call 401-848-2277 to reserve. (Doors open at 6:30) Rated PG-13. 1947 West Main Rd. (Enter at Light), Portsmouth, R.I. 02871, 401-848-2277, www.newportcarmuseum.org ?? 10 a.m. ??? 4 p.m.
During ?? ?Hoods Up??? 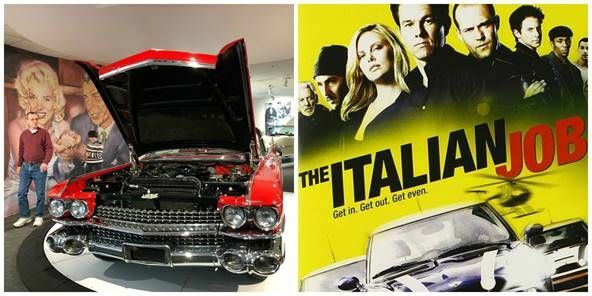 Weekend, check out the engines in every car at the Newport Car Museum. See what makes these beauties rock, rumble and roar! Tickets $18/adults; $15/Seniors, Military, Students; $8/Ages 5-15 (with an adult); Free/Ages 4 and under (with an adult). 1947 West Main Rd. (Enter at Light), Portsmouth, R.I. 02871, 401-848-2277, www.newportcarmuseum.org ???? Features include 60+ cars exhibited in five galleries (Ford Shelby, Corvettes, World Cars, Fin Cars, Mopars), eight driving simulators, and a collection of Mid-Century modern furniture integrated into spacious, inspiring surroundings. No barrier ropes around the cars, and plenty of docents to help answer questions and enhance your experience. Newport Car Museum is handicap accessible and hours are currently 10 a.m. to 4 p.m. Tickets can be bought at the door or online at www.newportcarmuseum.org where more information and directions are available. Follow us on Facebook, Twitter and Instagram and Pinterest.